IRRI's experimental plots on the ICRISAT campus. Hyderabad, India- "In three short years, a systematic breeding program for irrigated direct-seeded rice (DSR) and rainfed conditions is now in place at IRRI’s South Asia rice breeding hub in Hyderabad, India,” says Arvind Kumar, IRRI plant breeder and head of the facility. IRRI’s Hyderabad team has developed and identified lines that are suitable to drought conditions in South Asia. These lines are being developed in the background of popular mega-varieties in the region. Thus, drought-tolerant versions of Sambha Mashuri, MTU1010, Vandana, Anjali, and Kalinga3 are now ready to be tested and validated in many different locations in South Asian countries. Kumar and his team have also developed lines that are drought-tolerant versions of Swarna-Sub1, a famous IRRI-bred, flood-tolerant variety that is in great demand by farmers. Testing of the Swarna-Sub1 + drought lines began last year in India, Nepal, and Bangladesh. “We also have some promising breeding lines for DSR and aerobic rice,” he adds. Capacity-building programs for researchers in the region have also been conducted recently through the IRRI hub. 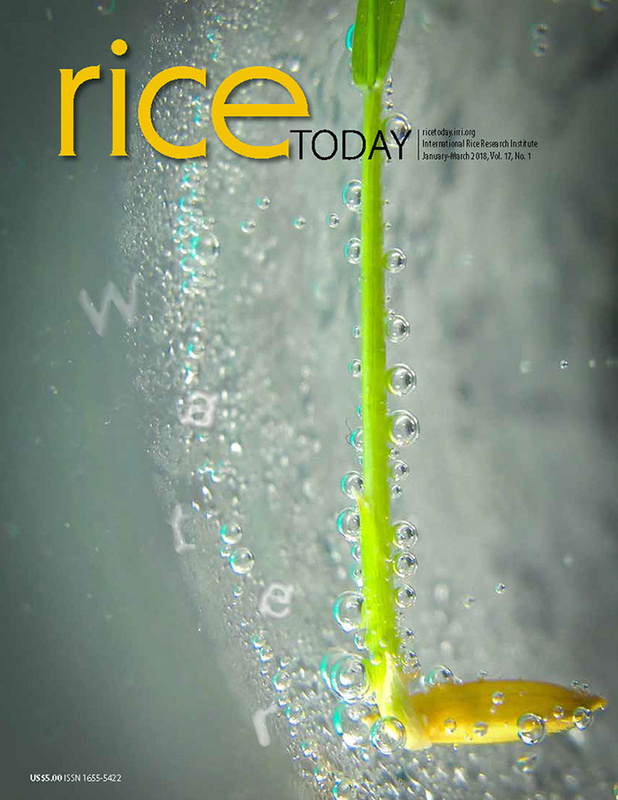 These include Marker-assisted introgression of different traits to develop new generation climate-smart rice; Rice breeding: recent developments, emerging challenges, and future needs; and statistical analysis training. New projects with support from the Indian government and international agencies have been initiated in the hub. These include a Harvest Plus-supported project on zinc biofortification; an ADB-supported project on climate-smart rice; and government-supported projects on breeding new rice varieties and improving productivity of different crops in Karnataka state.